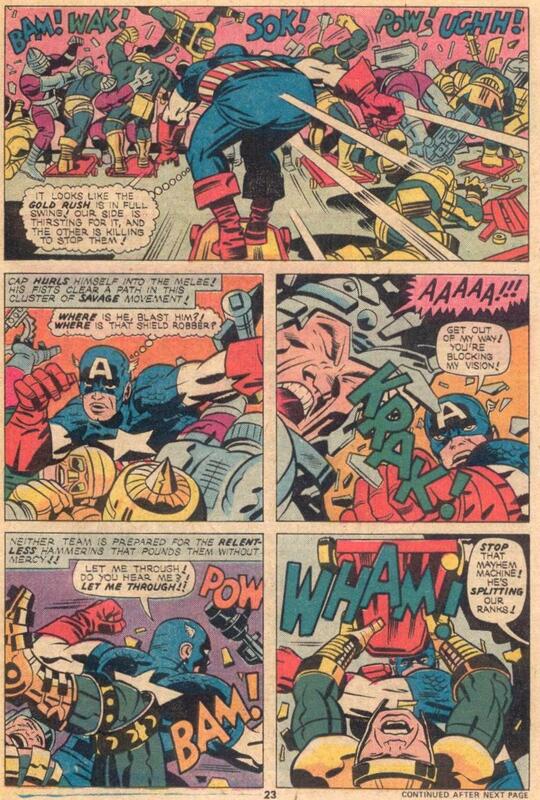 The Daily Kirby: After 35 years of Captain America fight sequences how do you keep things fresh? After 35 years of Captain America fight sequences how do you keep things fresh? By taking away Cap's shield and putting him on a skateboard!